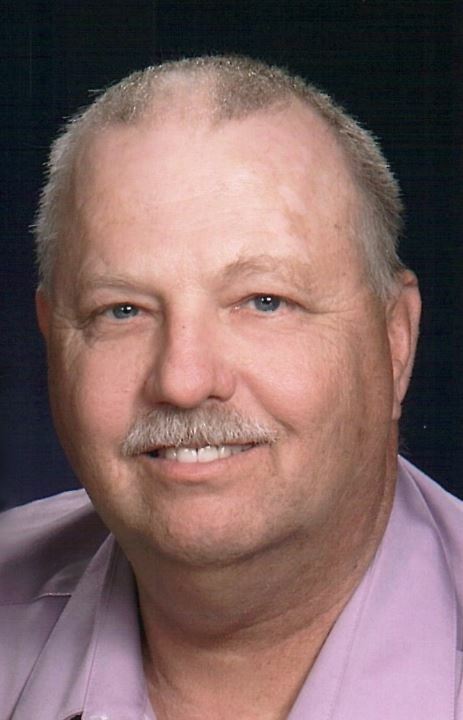 Ray Classen 67, died Tuesday, January 15, 2018 at Via Christi St. Francis in Wichita. He was born July 3, 1951 in Goessel, Kansas to Sam and Lula (Nickel) Classen. On August 3, 1974 he married Janice Hinz at Visalia, California and she survives of the home. Ray accepted the Lord as his savior when he was 5 years old and was baptized when he was 12 at Koerner Heights Mennonite Brethren Church in Newton. He attended Grace Community Church since its founding where he served the church in many capacities including as a youth leader, choir member and coached the church softball team. He also started and led the men’s fishing retreat for over 17 years. It later became the Grace Community Church men’s retreat. He was a graduate of Berean Academy in Elbing and attended Tabor College in Hillsboro. He served as the North Newton Police Chief since 1983 retiring in 2013. During his tenure as the North Newton Police Chief he grew the department from one officer, himself to 2 full time officers and 5 part time officers. Ray loved his work as Police Chief and cared for the North Community with respect and professionalism. He truly cared for the wellbeing of his community and its citizens. Ray Classen loved his work but made it clear to his family and friends that he was not defined as a person by police work. His identity was grounded in service to the Lord and he found his work as a way to fulfill that mission on a daily basis. It is Ray’s steadfast faith in Jesus Christ that brought him through the difficult times in life. He was also a family man and proudly enjoyed the title of Husband, Father, Grandfather and Friend to many. He always looked forward to time spent with those he loved. Ray is survived by his wife Janice of the home; son Jonathan and his wife Laura and their children Alyssa and Dominick of Fremont, Nebraska; daughter Sara and her husband Michael and their children Lacie, Ava, Emmet and Austin of Hutchinson, Kansas; Brothers Luke and his wife Ellen Classen of San Antonio, Texas and Mark and his wife Linda Classen of Tulsa, Oklahoma; he is also survived by one sister Beverly Willems of Newton, Kansas. He is preceded in death by his parents and brother in law Frank Willems. A celebration of Ray’s life will be 11:00 a.m., Friday, January 18, 2019 at Grace Community Church in Newton, Kansas. A graveside committal service will precede the celebration at 10:00 a.m. at Greenwood Cemetery in Newton, Kansas. Visitation will be 5 p.m. to 9 p.m. Thursday evening at Petersen Funeral Home with the family receiving friends from 6:30 p.m. to 8:00 p.m. at Petersen Funeral Home. Memorials are suggested to Grace Community Church in care of Petersen Funeral Home. Dear Jan and family, So sorry for your loss of dear Ray. May God give you strength and comfort. I liked ray from the start of his career to the end . He loved law enforcement and was good at his job. He will be missed. Classen Family, It was a honor to work along side Chief for many years in the North Newton area and to serve on serveral law enforcement committees to improve services across our local area and the state. Just heard about Ray’s passing. Same class at Berean Academy. Sorry for your loss. Sounds like he was awesome and enjoyed life.